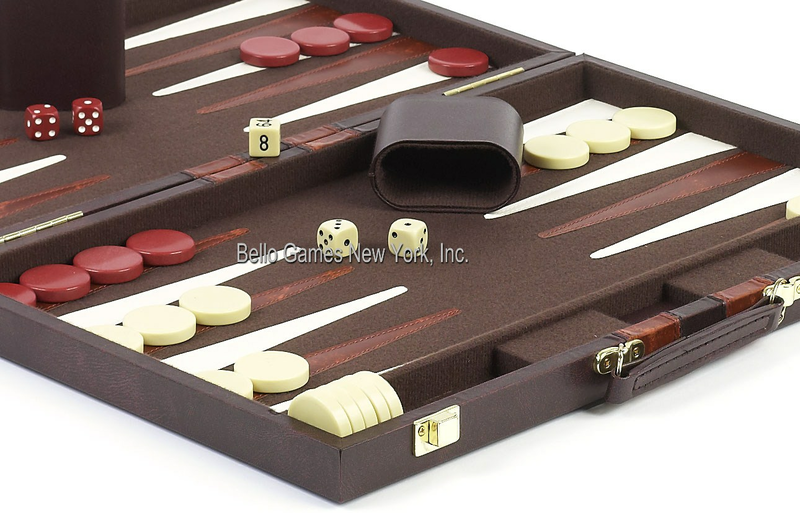 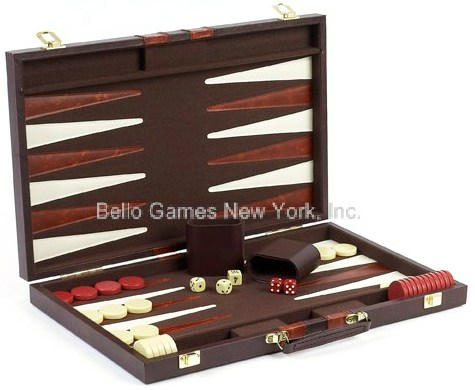 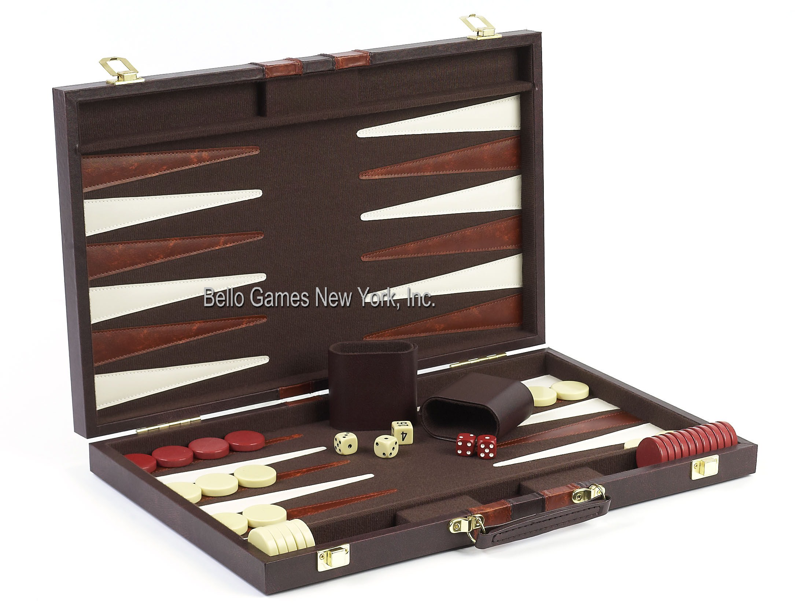 Tompkins Square Backgammon Set  - $35.00 : Bello Games New York, INC.
Travel Size Brown Vinyl Backgammon Set 11". 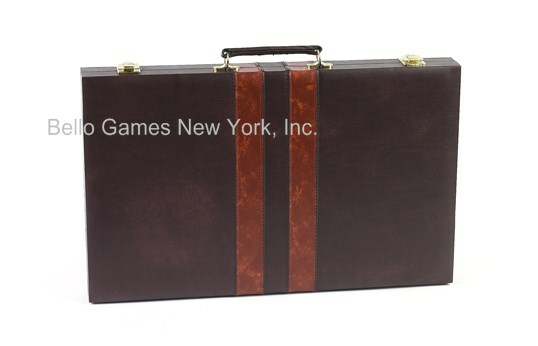 Size: 11" x 8" (closed) 11" x 16" (open). Each set complete with the Bello Games New York logo inside the dice compartment.